The best thing about online shopping is there’s no opening hours. You can shop whatever time you like and wherever you like. Thanks to the fact that the retailers don’t have to pay for the overhead of a high street shops you often get a cheaper price on your cycling gear. Also the returns policy from may online cycle shops means that you aren’t risking anything. Evans are one of the only online bike shops that offer free shipping worldwide making it one of the best choices of online bicycle stores for people buying bikes abroad. For the best deals from Evans CLICK HERE From its roots as a local bike shop on the Kennington Road in London, Evans is now one of the UK’s largest chains of cycle shops, not to mention their comprehensive online cycle store. Evans stocks a full range of quality bikes, starting at around the £300 mark, stretching all the way up to highly specialist bicycles for as much as £9,000. With it’s large chain of shops around the UK, particularly in London and the South East, Evans is also able to offer shopping online with a pick up in store – meaning that it’s convenient to test ride bikes and test out other bike gear. Despite being a large chain, Evans’ still prides itself on employing knowledgeable staff who are able to give good advice on bicycles and accessories. Chain reaction are offer a free delivery service on all purchases worldwide, and you can return unwanted goods for free via the Collect Plus system. Established as a village cycle shop in Northern Ireland with a £1,500 loan back in 1984, Chain Reaction Cycles is now one of the largest online bike retailers in the world. 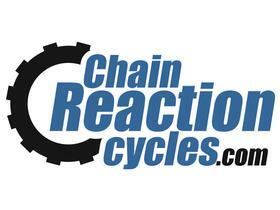 Chain Reaction Cycles has a history of association with mountain biking but these days the chain stocks just as many road bikes and hybrids as other online bike shops. Wiggle have a great reputation for customer services. As well as free delivery and a number of other customer benefits Wiggle offer a 30 day test ride so if you don’t like the bike you can simply e-mail them and they’ll pick it up from you free of charge with a full refund! 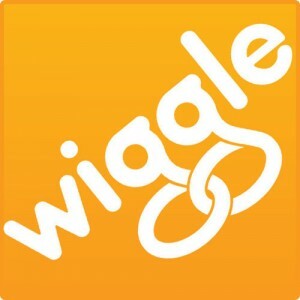 Wiggle is really the original online cycle shop. Founded in 1999, the company sells a range of mountain bikes, road bikes, hybrids, BMX and other specialist bikes. Their range also includes all the bike parts and accessories you need for your bicycle. As well as bikes, you can also buy equipment for running, swimming and triathlon. This means you can also buy food supplements like energy gels in bulk. Wiggle ship to over 70 countries around the world and offers free delivery on most orders. Although Halfords is now probably just as famous for selling car parts, Halfords actually began as a cycle and hardware store in Birmingham in 1882. It was one of the first chain shops, already having over 100 shops around the UK by 1910. Halfords still have stores all over the country, both in town and at out-of-town shopping centres, as well as a large website selling all their lines of cycling products. In their shops there is usually a separate Bikehut section which offers maintenance and repairs, as well as bicycle sales. Via their website it’s easy to buy a bike via reserve and collect, so you can visit a store to test out your bike. They stock a range of bicycles, particularly focusing on budget bikes costing less than £300, as well as carrying a large selection of children’s bicycles. Nevertheless, in recent years, Halfords have started to stock higher specification bicycles and are now the exclusive UK distributors of Boardman bicycles. Founded as a cycle shop in Southampton back in the early 80s, Hargroves now has five bike stores around the south of England, as well as a thriving online bicycle shop. Hargroves pride themselves on offering a really good customer service. Many of their bicycles are available with 0% finance, and they operate a loyalty scheme that can save regular customers up to 12%. The Hargroves online shop sells a full range of road bikes, mountain bikes and hybrids, as well as parts and accessories. What started as a small bike shop in Cheshire is now an online cycle store, shipping all over the world. As well as road bikes, mountain bikes and BMXs, Cycle Store also stocks a selection of camping, hiking and snowboard equipment. 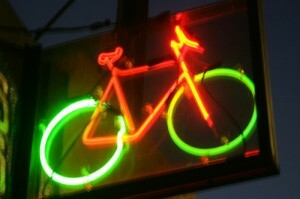 The opening hours of the original bike shop are Monday to Friday 9-6 and Saturday 9-5. Of course, online bike shops are great for getting the lowest price on bicycles, parts and accessories, but they can’t offer the knowledge, service and personal touch offered by local bike shops across the UK. Look out for our directory of local bike shops across the UK – coming soon.